So you bought a spa. You love your new purchase. When you relax in your spa’s comfortable seats after a long working day, you feel so peaceful and stress-free. When the warm water envelops every part of your tired body, you just feel so good! 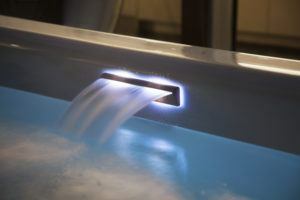 The best way to retune your mind and body is experiencing energetic spa hydro-massage in the privacy of your home. It’s a perfect invigorative break from a hectic schedule of a busy day. However, there is another – not so pleasant side to spa experience. The matter is that spa water is usually heated at 96 degrees Fahrenheit to 104 degrees Fahrenheit (35-40 degrees Celsius respectively), making it a perfect ground for spreading the infection and microorganisms such as viruses, bacteria and fungi which cause various diseases. So it becomes clear that your spa and spa water require proper maintenance and care. How should I take care of water in my spa? This is the most frequently asked question when it comes to your spa water maintenance. What are the chemicals and softeners that need to be added? 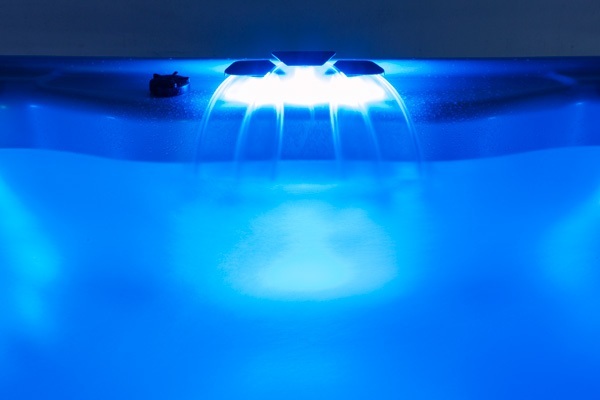 How do I know if the water in my spa is healthy? Spa water care can seem overwhelming to someone who has never maintained a spa before. Do not worry – as long as you follow some basic instructions concerning your spa water care and have the right chemicals and accessories at hand, you are fine. Read on to find out in detail about water care for your spa. Contemporary hot tubs and spas have efficient built-in water maintenance systems. Cutting-edge filtration and purification technologies ensure that your spa water stays clean and you don’t need to spend much time taking care of the water itself. The hot tub filters on hot tubs and spas absorb both debris and smaller particles before they even get to the purification system. Some filters absorb lotions and oils as well. All you need to do is simply rinse the filters off and replace them when needed. But what should you do when your spa doesn’t have built-in water maintenance system? The following four tips will help you to take care of your spa water. Use with optional FreshWater® III CD-Ozone system for the ultimate in water care on Bullfrog Spas. 3 tips to help you maintain your spa water clean at all times. Take a quick shower before using the spa. Before you get in the spa, rinse off your hair and body care products in the shower and do not use any clothing in the tub if the conditions allow it. Clothing fibers clog filters while soap residues will result in scum or even foam. If you and your family members follow this simple rule, it will significantly improve your spa water quality. Change the spa water every three/six months. Depending on your spa usage and the type of the spa you have, a complete water change in your spa is required from two to four times a year. Use the instructions that come with your spa to drain and refill it with soft water. If you have a conventional family spa, you would want to change and refill the water in your spa approximately every 3 months. You can apply a total dissolved solids (TDS) test strip to determine when to change your spa water. These strips can be found at your local spa store. Add a flush product to your spa water and run jets on high for 20 minutes before you drain your water. Adding a flush product helps to keep your spa equipment clean. Add softeners and sanitizers to your spa water. From time to time add softeners to your spa water to maintain its freshness and keep it soft. Also keep your spa water clean from alga, bacteria and other impurities by maintaining a safe amount of sanitizer. Your lungs, skin and eyes may become irritated if you add too much sanitizer to your spa water. At Mission Valley Spas we are continuously striving to provide you with a trouble-free spa water care experience. If you have more questions concerning water care for spa, contact the experts!